In honor of Triple Crown Climbing Competition and the end of RiverRocks, we talked to Chad Wykle, co-founder of the competition and Southeastern Climbers' Coalition board member since 2003. Wykle describes the SCC as a homegrown grassroots non-profit dating all the way back to 1993 when a group of climbers banded together to mediate with the National Parks Service about ongoing access issues at Lookout Mountain's Sunset Rock. The SCC had positive results from the start and went on to sponsor cleanups and trail days at public climbing areas all over the southeast. Since then, the SCC has worked diligently with public land managers to preserve access at Tennessee Wall, Foster Falls, Deep Creek, Moss Rock and many more other locations. Without the SCC, Triple Crown wouldn’t have happened. Wykle and Jim Horton, a North Carolina climber, met and began climbing together in the early 90's. 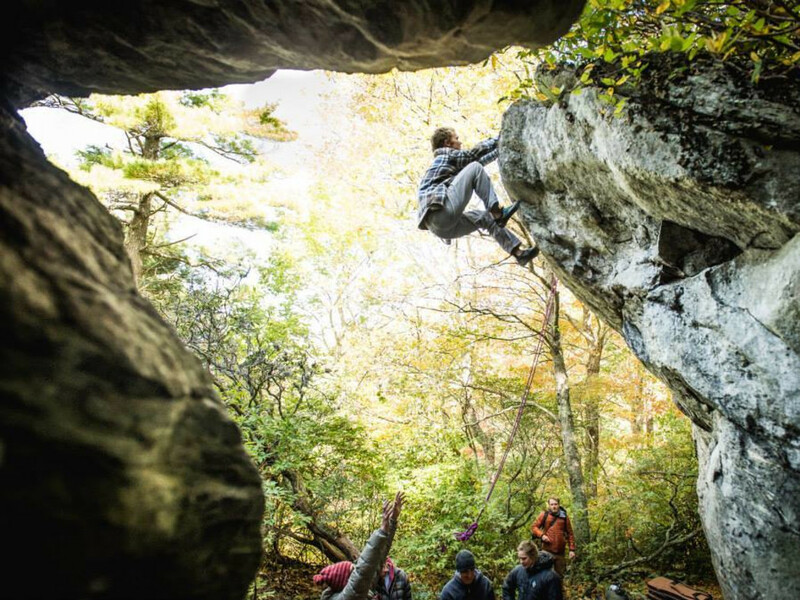 Horton started a Hound Ears climbing competition in 1994 after climbers lost access to Howard's Knob, a coveted local Boone, NC bouldering area. The competition was spawned with hopes of some day recovering access. Wykle started competing at the Hound Ears Competition and volunteering for the event. Around this same time, climbing activist Adam Henry was living in Alabama experiencing many of the same difficulties with access. 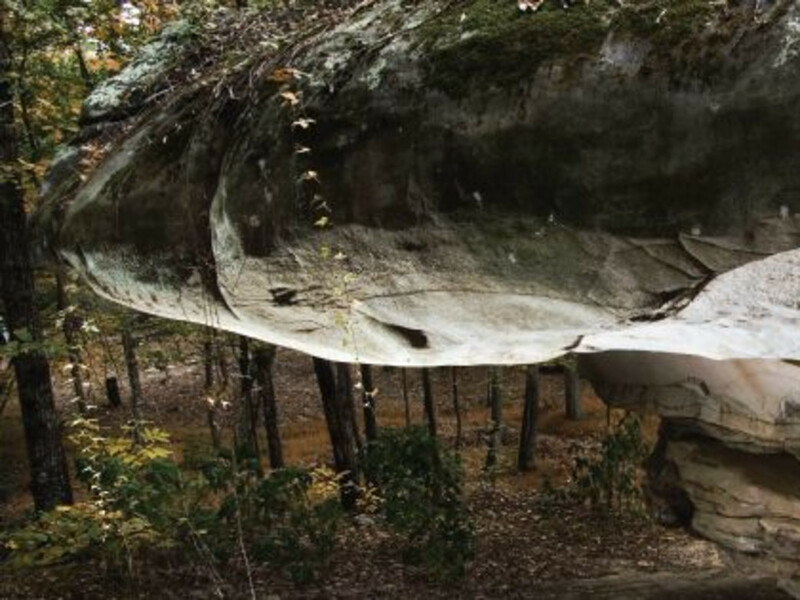 He had created a similar event at the wildly popular Horse Pens 40 bouldering area in Steele, Alabama. Horse Pens 40 is also located on private property, and Adam had created a strong relationship with the Schultz family who owned and still own the property. Almost immediately, both competitions developed a huge cult following and a strong core group of volunteers that continue to pour their passion into the events. Additionally, since climbing access issues were rife in the early 1990s in Western North Carolina as well as in Alabama, it was only natural that the Horse Pens-40 event became an access platform for all of the southeast. 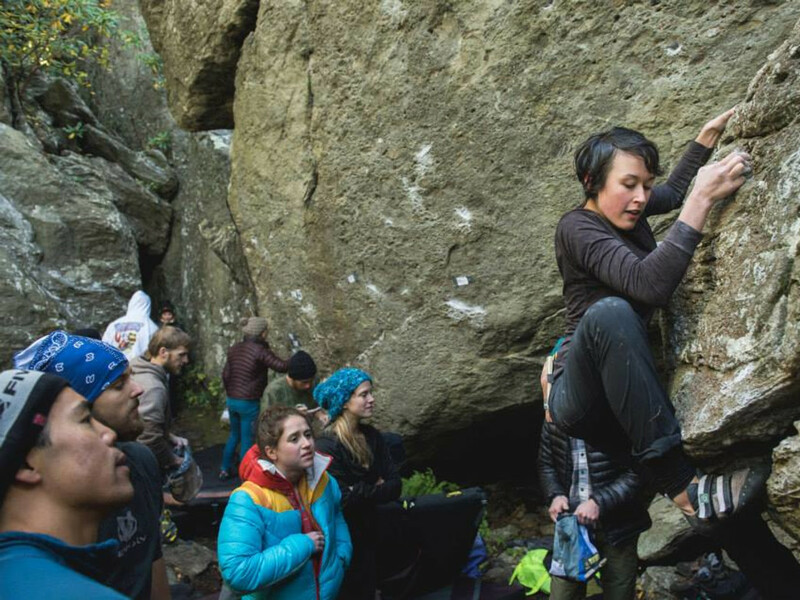 The event came together later that year and the Triple Crown Bouldering Series was born in the Fall of 2003. And Wykle became an SCC board member later that year. 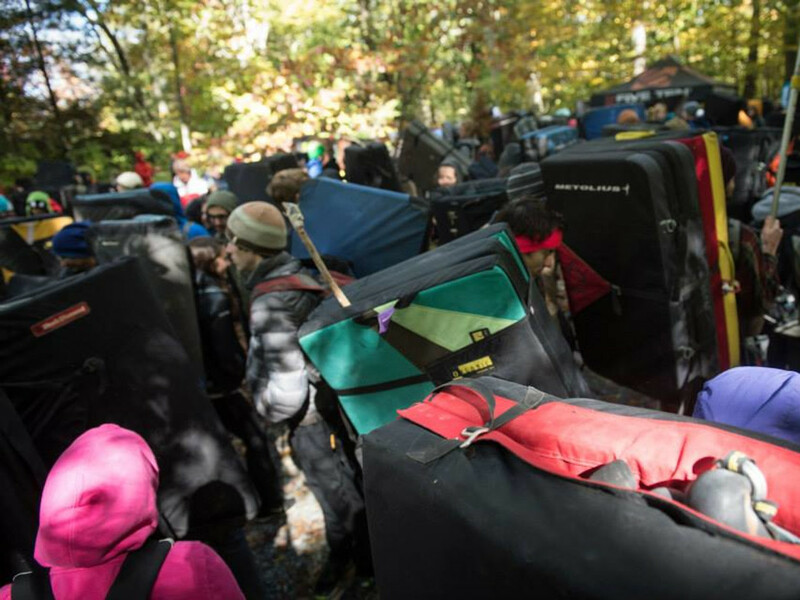 Now, 12 years into the Triple Crown, the event continues to support the efforts of the the Southeastern Climbers' Coalition, the Carolina Climber's Coalition, the Access Fund, and the American Alpine Club. 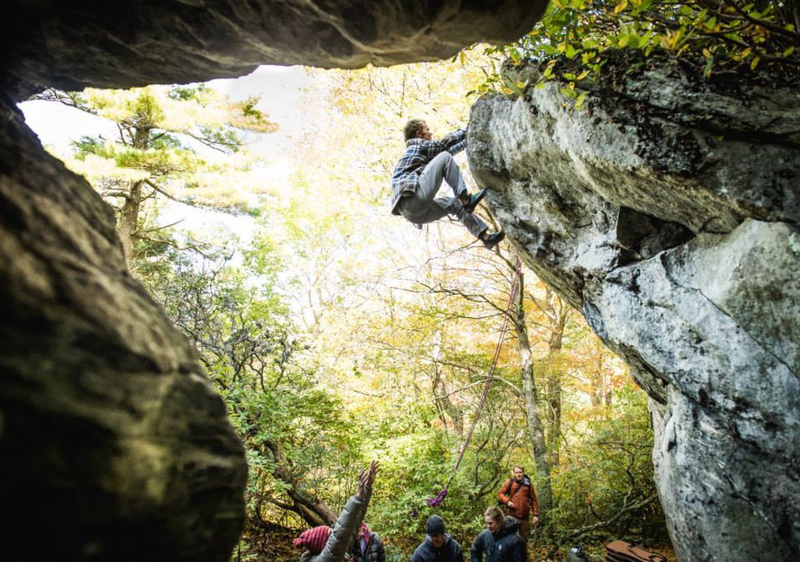 Additionally, the Triple Crown and SCC have teamed up to actually purchase several fantastic climbing areas. Boat Rock, Steele Crag, and Hospital Boulders are just a few examples of climber owned and managed properties. The Triple Crown exists to support the efforts of the SCC and other regional outdoor non-profit organizations. 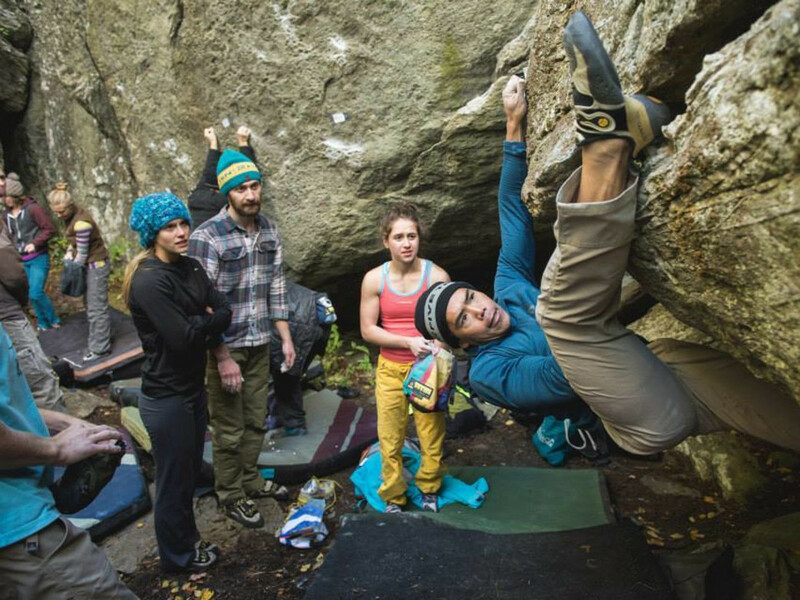 pint nights and trail days also provide the platform for the climbing community to get together for a fun and worthy cause and simply to talk climbing. It's old fashioned and grassroots, but it works. The success of such efforts is evident after a quick survey of the SCC’s projects. Money to fund the projects comes from people donating directly to specific projects. “There's nothing like knowing that donated money, or donated volunteer time has supported a 'direct action cause,' such as a completed trail finished bridge built kiosk, or even a land purchase. “When you can make projects very specific with clear/permanent outcomes people naturally want to support them,” Wykle adds. While Wykle emphazises the importance of community non-profit organizations that work together for a common goal, he also notes that a supportive national entity such as the Access Fund rounds out the community.